My link to Deacon John Moore comes directly from spending time with Pat Green, who you met in episode 2 of The Magic Hour. 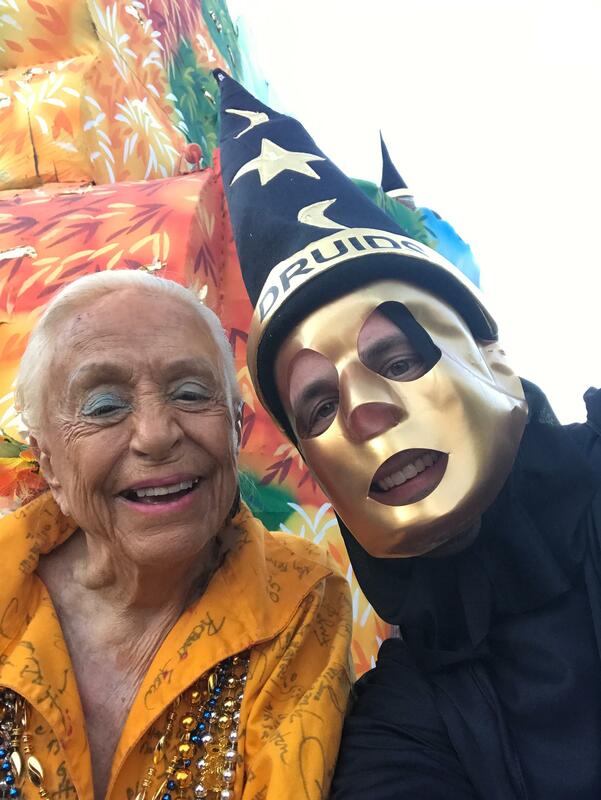 Since filming her episode, Pat and I have continued meeting and planning her living jazz funeral second line she will hold this October. During one of our meetings, Pat shared an interest to raise funds with any donations to her party for the Musician’s Union of New Orleans. She wanted to reach out to the current president of the union, who I found out is Deacon John Moore. I called his number listed online and was greeted in the friendliest way. I shared the purpose of my call with Deacon John, and we set up a time to meet for lunch with Pat Green. It was our handshake that sparked this connection. You see, Pat Green did not let go of my hands once we shook. In fact, after about a minute, I didn’t want to let go. I could have held her hands even longer. No words were necessary in this instant. All of my grandparents have passed, and for a moment, I felt reconnected with all of them. Pat’s smile drew me over to her, as she stood with her daughter Holly and son-in-law Javier on Jefferson Ave, preparing to watch her first Mardi Gras parade ever.